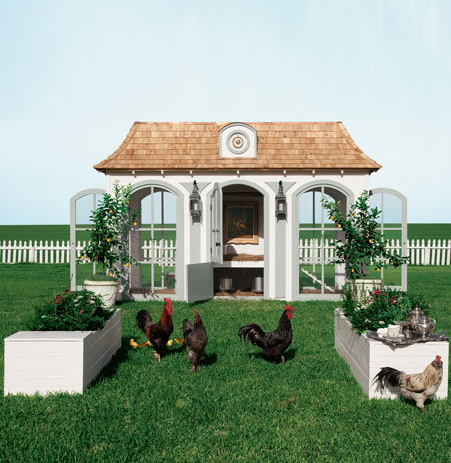 I‘m sure most of you have seen chicken coops that have some kind of a “wow” factor. 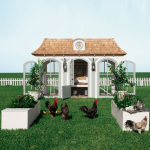 They may make you wonder why they are called chicken coops at all because they really are chicken palaces. A quick google search will bring up images of coops that have much more elaborate architecture than many houses. This one was actually modeled after Versailles in France. It is sold by Neimen Marcus for $100,000 and comes complete with artwork and a chandelier! Good grief! Chickens really can live most anywhere. They don’t need elaborate accommodations and in this case it is doubtful that the coop is used for anything other than a yard ornament. After all, who would allow the chickens to poop all over the antique furniture? I didn’t build my chicken coop to win any prizes, even though we love how it looks! I built it to be structurally sound. I want it to be the last coop that I will need to build on our homestead. But even beyond that, I built it to be very functional. I carefully considered every part of its design. 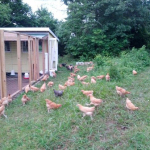 The choices I made are just as much for the benefit of the chickens as they are a benefit for me when I am taking care of the birds. Easy care and versatility were at the top of my list. 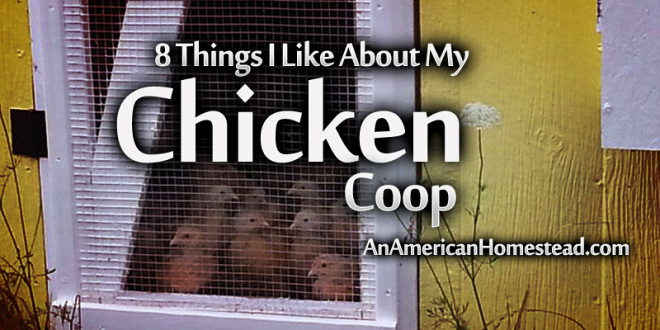 Here are a few things that I like about my coop, things that I believe make it function better than the average coop. I believe that these things are important to consider when building one of your own. I wanted to accommodate enough birds to provide my family with meat all year, so I built my coop to be 144 square feet. Right now my flock is a little less than 50 birds. Most of the time they are free range, but on very cold snowy winter days I keep them inside. Along with the run, they have plenty of room to move around. I like a wood floor, but when I was building the coop I also considered concrete or dirt. Concrete is easy to clean, but can get really cold in the winter. In my opinion, dirt is the worst choice. It is hard to clean, dusty when dry, and moldy when wet. 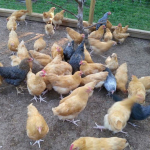 I also believe that it does not promote good health conditions for the chickens. But before I knew better, I used a dirt floor. Now in my chicken coop, I use an AdvanTech flooring product which is moisture-resistant and has a 50 year warranty. I divided my coop in half with a door between the two sides. This gives me the option to have two different flocks or just separate a few birds from the rest. I can keep my adult birds on one side and my baby chickens on the other side. Recently a friend gave us eight birds and I was able to keep them separate for a week. By the time I mixed the flocks together I was surprised to see that there was no fighting, their pecking order already seemed to be established because they were used to each other. These are small chicken size doors that allow the chickens to move in and out of the coop and chicken run. 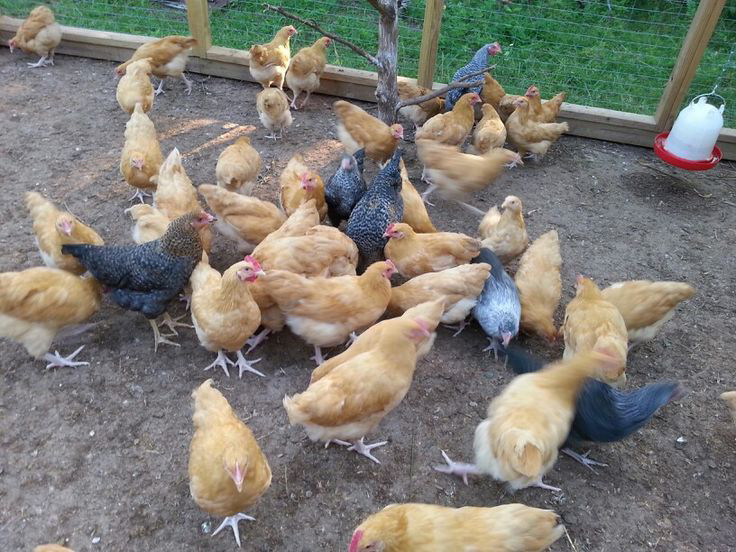 As long as they are open, the chickens can move freely. I have two doors that enter the coop from the run, and four doors that allow the chickens to exit the run to free range on our property. With this set-up, I have the option of dividing the run in half in order to separate two groups of birds. Some would stay in the run and others could get out to free range. My run is 240 square feet with wire fencing on all sides and the top. 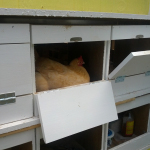 When we are away from our homestead, I keep the birds inside the run with the doors open to the coop. Even if we do not get home before dark to close the pop doors they are safe inside both the run and the coop. It is important to have enough perches for roosting. I have over 25 feet on each side of the coop. 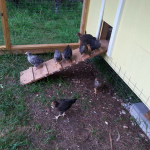 I have a little less than 50 birds, but one thing I find almost comical is that most of them crowd in on one side of the coop and on the other side there is perch space to spare. 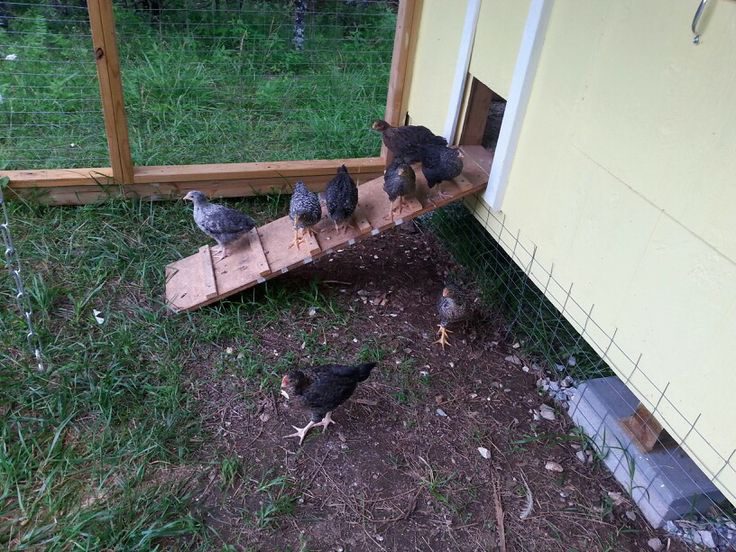 I purposely built all the perches at one end of the coop away from the doors. This way I do not have to walk on the messiest part of the floor when I go inside. One advantage to having lots of perch space is that the birds will not roost in the nesting boxes. I hate gathering eggs when they are mixed with chicken poop. These took a little time to make, but it was well worth it. 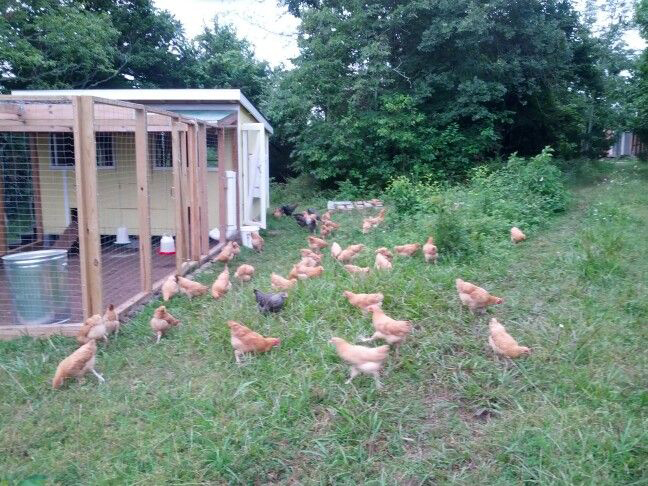 My primary reason for building them was to be able to gather eggs from the outside of the coop. 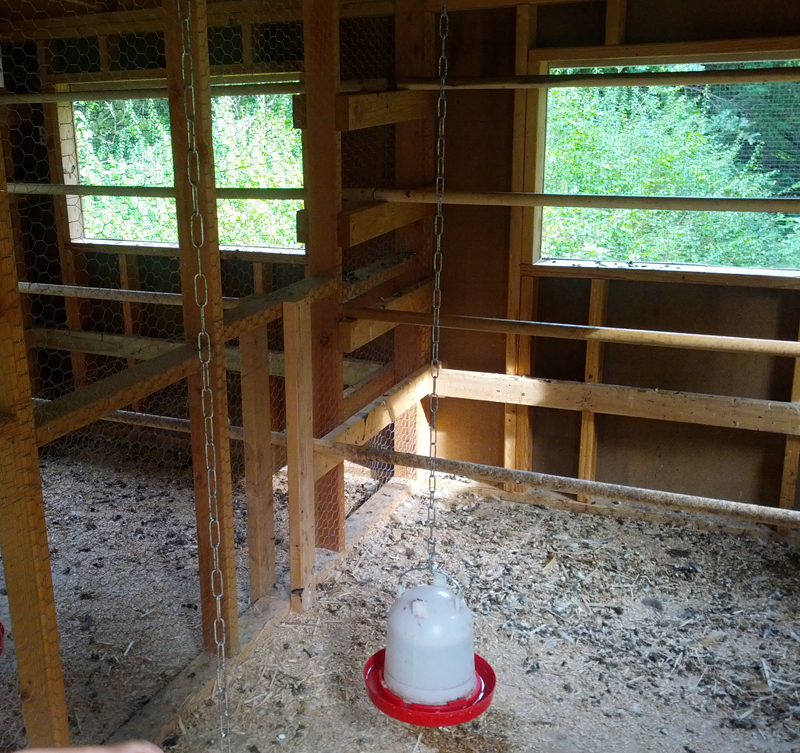 It is a good practice to limit the times you have to enter your coop because it can disturb the chickens. I have 6 boxes on each side of the coop, which are more than enough for my needs. They are each 14 inches square. 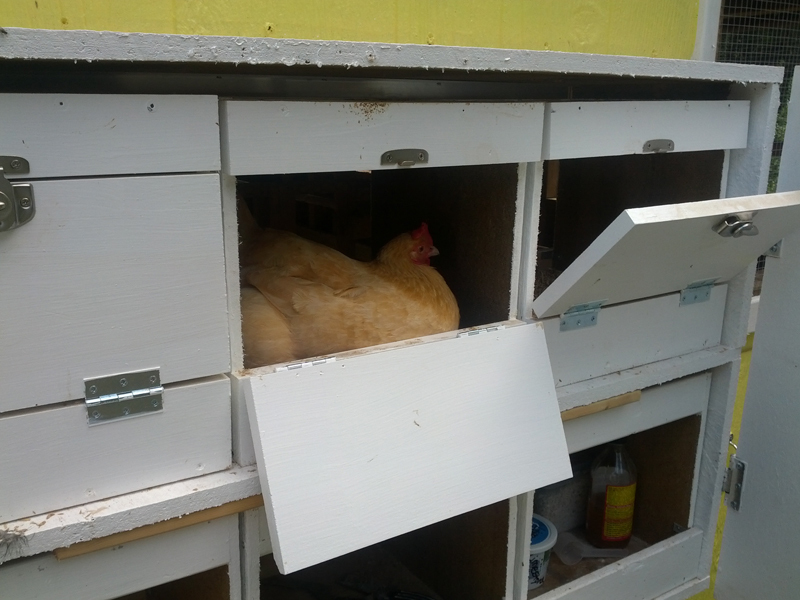 The front is open and the back has a door for gathering eggs from the outside. The boxes are on a shelf so I can remove them for cleaning or if I do not want the hens to use one or two of the boxes, I can just turn them around. Ventilation is important. I have two windows on each side of the coop. We live on top of a mountain which allows us to have a breeze most days, so no matter what direction the wind blows the coop gets plenty of ventilation. I have shutters for each window, so I can close up the coop tight on those cold winter days. I’m very happy with my chicken coop. It was worth the time I invested to consider each part of its design. 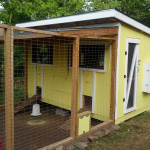 It is very functional and easy to care for, as well as gives me options to modify the run and the coop when my needs change. Most importantly it keeps our birds safe and sound! For more information, watch me giving a tour of the coop. 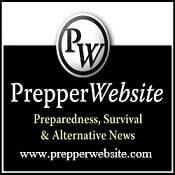 After their retirement, Tim and his wife Joann moved along with his daughter, son-in-law, and two grandsons to the American Ozark Mountains to build an off-grid homestead. can you provide plans and amaterisls used for this coop? Do you count the chickens? Occasionally i have found sick chickens in the coop. I dont feel confortable not checkibg on them at least a coupke times a month. Yes, I count them at least once a month. I wait until after dark. It is much easier. 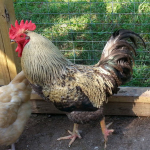 What breeds of chickens do you raise? Do bother getting sexed chicks? What was the expense involved in building this coop? It looks great with a very intelligent design. Thanks. The cost was about $3,000. I tried my hand at having some laying chickens and had a lot of fun. Built laying boxes on a slant for the eggs to roll out of sight of the chickens and had great success. 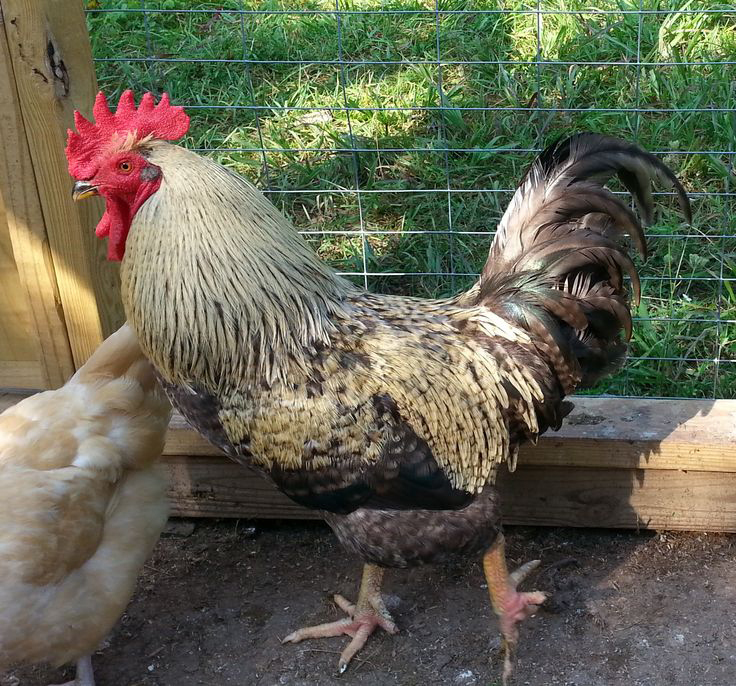 My problem began when I had to get rid of my roosters… had way too many. The farmer that came and got my roosters had a large chicken facility. He raised chicken to sell for meat and had turkeys and others. He looked at my chickens and my chicken run and said that my birds had worms and lice or something in their feathers. My run looked no different than yours. Do you have to de-worm and put all sorts of medicines on your birds? 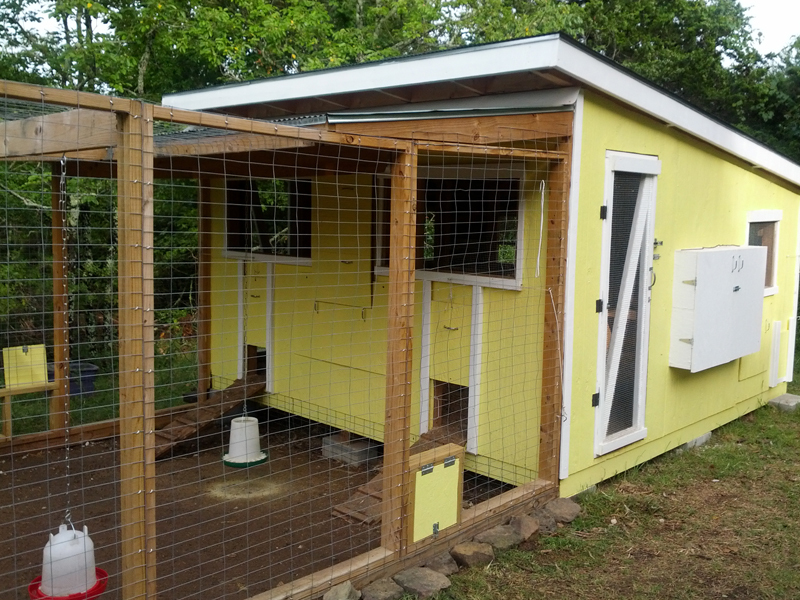 Hi.can i know the cost for making a coop like this? Kathy, The cost was about $3,000. Thanks for asking. 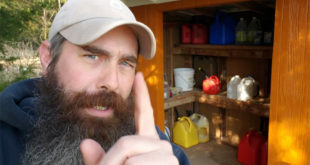 Tim, I am planning a chicken coop that can accommodate for laying, breeding with a 3 clan system, and brooding/hatching. This design is the closest to what I’ve been thinking though I”ll need more dividers. I love the egg box idea. I would be able to pull a broody hen, nest and all and bring her to the broody area. Love it! My question is: It looks like you have the floor raised a bit. We have had rat problems with on the ground coops and am considering raising the floor to 18″ though it would increase cost and effort. Should I go through the trouble?? Thank you…this is the best I’ve seen! 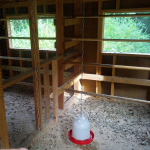 A raised floor makes for a more secure coop and helps keep snakes out too. It is also warmer in the winter. I use Avandtech flooring. 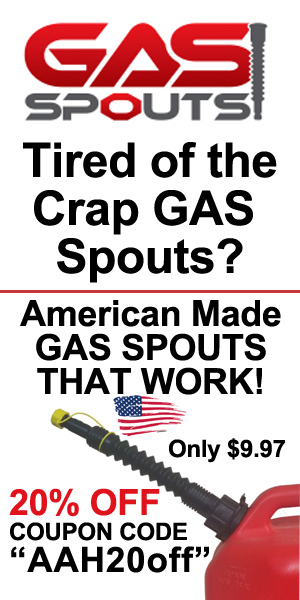 It is durable and easy to clean, but a little pricey at $35 a sheet.